Although headquartered in Ohio, USA, Little Tikes is one of the UK’s biggest toy brands. The company was founded in 1970 and in 2006, became part of MGA Entertainment Group. 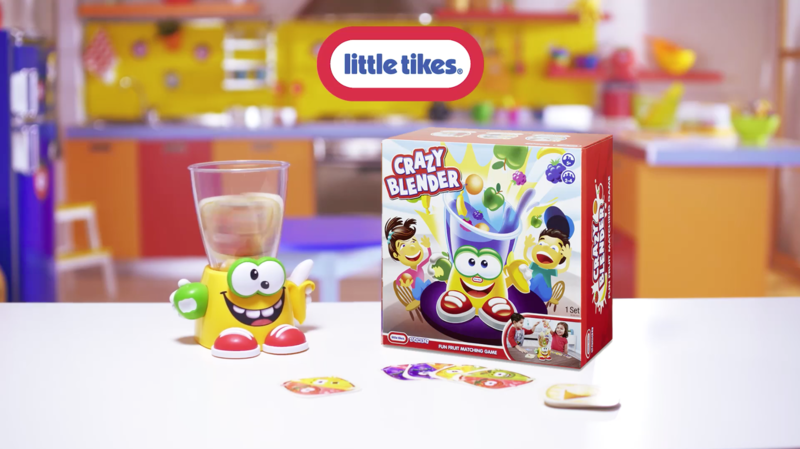 And decades on, Little Tikes continues to be known for producing durable, imaginative, fun, high quality toys and games for infants and children up to 5 years and over. For the Crazy Blender TV commercial, the brief was fairly simple: be excited, youthful, pacy, a bit wacky and and fun-loving. So for 15 seconds, I tapped into my inner child who’s maybe had a bit too much birthday cake and a few too many fizzy drinks. I certainly had fun doing it and the client loved the result. The commercial was screened on UK children’s channels and online. Fun fact: I also provided the voices of the fruits spinning around in the blender.